Ranveer Singh Said: "It has been an absolute honour to work with Rohit Shetty and his stellar team"
Ranveer Singh, who is basking in the success of his recently released cop action saga Simmba, thanked filmmaker Rohit Shetty for "believing in him" and making him the "hero" of his film. Speaking to news agency IANS Ranveer said that it was his "absolute honour" to work with the filmmaker and his "stellar" team. "I want to thank Rohit Shetty for believing in me and making me his hero. Rohit's vision propelled by the collective effort of his entire team has been the sole reason behind Simmba hitting the bulls eye. It has been an absolute honour to work with him and his stellar team. Their large-hearted mentoring and exemplary work ethic has spurred a tremendous growth in me as a performer," IANS quoted the 33-year-old actress as saying. Ranveer Singh further said that he always wanted to do an "out and out masala entertainer" and was "grateful to the audience for showering Simmba with so much love. "I had never done this kind of out and out masala entertainer - a kind of movie I had always wanted to do. I'm extremely grateful to the audience for the love they have showered on my performance and on the film. It is encouraging and truly humbling. It has been an absolutely incredible year for me, and the success of Simmba makes it an ideal way to end the year - on a huge, huge high," Ranveer Singh said. Ranveer said that he wants to "evolve" himself as an actor and offer something new to the audience with each film. "As an artiste, I have always wanted to entertain audiences, at the same time offering something new to them with every film, with a constant endeavour to push myself to evolve as an actor," he added. 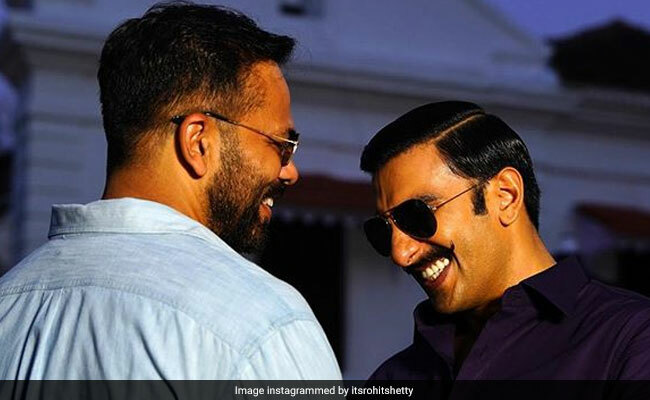 Rohit Shetty's Simmba hit the screens last Friday and collected Rs 124.54 crore in just five days. The film is having "dream run" in the Mumbai circuit. Within five days of the film's release, it collected close to Rs 50 crore mark in the Mumbai circuit itself. Ranveer Singh will be next seen in Zoya Akhtar's Gully Boy, which also stars Alia Bhatt. Ranveer Singh is playing the role of a rapper in the film.